Worthless degrees | Be Nice. After I swallowed my irritation at this person’s self-righteous tone (my grandparents – like many – grew up in that era and continued to have tough times through the fifties, and also had that “farming work ethic.” And I am a farm girl. Spent quite a few of my childhood years feeding pigs and cows, thank you very much. ), I gave the exchange more thought. It was the second time that week I had been told some degrees are worthless. Worthless. Art. English. Theater. Music. Worthless? Educating one in the fine arts within academia – to these people – is not as valid as being educated in science, sociology, psychology, or business. One critic said, “You can teach yourself these things. Why go to school?” True, you can teach yourself many things. I hear people teach themselves many things from the internet and books, including how to enact violence. But higher education yields many benefits to those in the fine arts – a community, challenging dialogue and exposure to new ideas, otherwise expensive to own facilities, difficult to access resources, and an intensive environment in which to quickly adapt one’s skills. And one could offer the theory that the more people are placed in fields that use their skills (even if low-income), rather than less-suitable fields with higher incomes, the more healthy society could be overall. Personal happiness can do wonders to alleviate health problems and negative behaviors which often create an undue burden on society. Perhaps these critics might give their words more thought before dismissing an entire facet of cultural production. My husband made the excellent point that these men were citing the monetary value that medical or engineering fields yield, which enable the student to more quickly pay their debts. On the other hand, most fine arts majors work incredibly hard after their degree, working outside of their “day job” to pursue their work. The student loans don’t wear off so quickly when one is making only $20 or $25 thousand a year while developing themselves professionally in their “free” time. Despite the slim future income earnings for these fields, people still flock to schools to learn about the arts. The value of these fields if calculated solely on income earnings would appear they have no value at all, yet individuals inherently recognize a greater value in cultural production and study. And yet society overall continues to take these cultural contributions for granted, and consistently undervalues their dominating presence in their daily lives. It is maddening to say the least. Still, I couldn’t deny these negative sentiments came from a legitimate place. Not many are easily inclined to help others who made “bad” choices, though I would never call being educated (and taught to critically think) a bad choice. Maybe they had a point…. But then I remembered bankruptcy. Those individuals who file Chapter 13 bankruptcy may keep their homes and other non-exempt personal assets, despite their poor spending habits. But did you know student loans are not forgiven in bankruptcy? Or what of the woman leading the lawsuit against the Affordable Care Act? She has recently declared bankruptcy. For medical bills. My point here is that a lot of people make a lot of bad choices and are helped out. Maybe not bailed out. But helped nonetheless. Stafford student loans offer a number of flexible repayment options, but the major problem with student loan debt is that these options often help in the short-term while creating inescapable long-term debt problems. For example, if one cannot pay the standard, or 30-year term, payment, the borrower can apply for income-based repayment. This repayment term, while financially manageable in the short-term (the borrower can afford to eat and live on their income while paying a meager sum to their lender), often creates a bigger economic impact in the future thanks to capitalized interest. Each month you don’t pay your interest it is added to the principal; you will be forever charged interest upon that interest until your debt is paid. For most low-income borrowers, this means paying double the amount they borrowed. And unlike a home mortgage (which have incredibly low interest rates – lower than student loan rates), the student has no equity. Home owners have something they can sell to pay off that mortgage loan. Student loan borrowers don’t. And these days, the long-term financial advantage of an education yielding a good-paying job is pretty rare. So why should tax payers care? Because this group of borrowers is growing exponentially. Defaulting on loans has increased tremendously. Wages are down. Jobs are non-existent. But interest keeps accruing. Debts continue to climb. And this means fewer consumers. Fewer consumers means lower wages and fewer jobs. It is a vicious cycle. 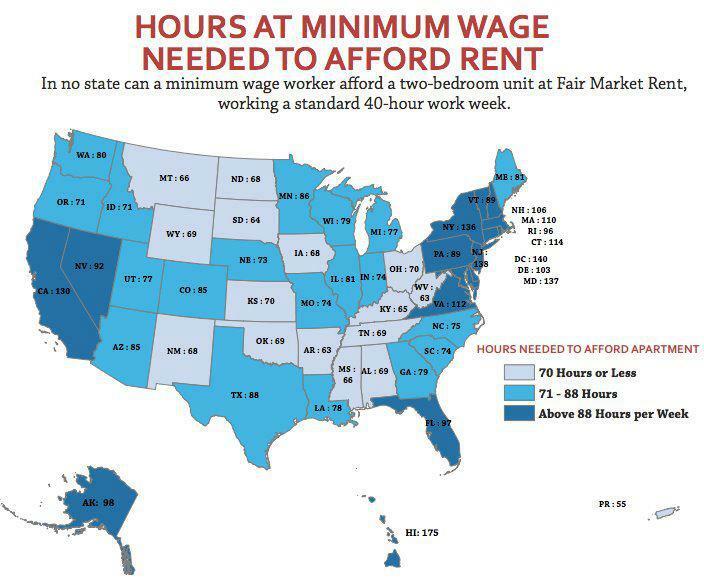 Since America is a strongly consumer-based economy, we are in trouble. These borrowers can’t buy homes – their educational debt totals the cost of a small home in many circumstances. New car? Forget it. Vacations? Nah. Kids? Can we say “social welfare?” 401K? Haha. You’re so funny. But if we could make these borrowers into active consumers again, we would create more wealth in the economy. Call me simplistic in my thinking (probably am when economics are the subject, sorry), but that would create a greater demand for services, which creates a need for jobs, which enables more people to spend more money and pay more bills! I wonder if demonizing the student borrower as “lazy” has contributed to some corporate-friendly legislation of years past. The Wall Street Journal calls borrowers on income-based repayment programs “deadbeats.” The Direct Loan program is criticized for giving loans indiscriminately. Schools are called “corporate-minded youth resorts” by Andrew Hacker and ­Claudia Dreifus in their book “Higher Education? : How ­Colleges Are Wasting Our Money and Failing Our Kids—And What We Can Do About It” (as mentioned in the article “The University Has No Clothes” in New York Magazine). Obviously there is a lot of reform needed on all fronts and blame can be divvied out to the banks, schools, and students. 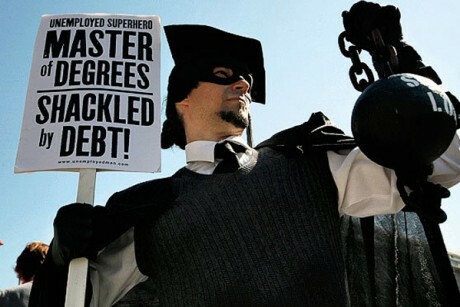 But if one acknowledges the value of an education – including the liberal arts – and if one acknowledges that a person can work very hard at their goals and job and still come out on the bottom of the income ladder, then there is a very good reason to address student loan interest regardless of who is to blame for all the debt. Lower the interest rates on all Stafford, Plus, and Perkins loans to 1%. Permanently. For undergraduate and graduate loans. For future borrowers and current borrowers. In this scenario, most people could pay their interest, chip away at the principal and maybe have something left over to be part of our consumer economy. Oh, and there would be fewer defaults, which means less paperwork, and more overall happiness for everyone. And those “deadbeat” borrowers? They would have little excuse to not pay something on their loans, if only the interest payment. Have the government buy up private loan debt at an interest rate of 2%, applying all repayment options available to Stafford loan borrowers to these borrowers. Would this in turn encourage more competitive interest rate offerings through private lenders? Student loan interest will not capitalize into the principal. Ever. Paying interest on interest often means the borrower will double their debt in accrued interest due to a poor economy, rather than pay it off. What might have been viewed as an “incentive” is more like a noose around the borrower’s neck. I wonder if this policy is significantly to blame for borrowers defaulting on loans as their interest on their interest grows year after year. The “for profit” student loan lending industry is creating a huge probability that in twenty years we will have a student loan bubble collapse greater than that of the housing bubble. With my reconfigured interest model, capitalism is still honored, profits are made. People can still attain a higher education, which is good for the country. Students are still held accountable for their debts 100% but they will actually have a fighting chance in doing so. And the middle-class earners should love this too, because it is more money in their pockets (and their kids’ pockets) too. It is win-win situation when we lower student loan interest without forgiving the debt. It is a lovely compromise to avoid a future financial disaster. Student loan borrowers (most of us anyway) do not want a hand out. We just want a fighting chance. This entry was posted in Perspectives on Be Nice. and tagged bankruptcy, defaulting on debt, stafford loans, student loan debt by Jen. Bookmark the permalink. I think you’d be surprised that many of those in medicine are fighting the same fight in regards to paying back loans. Contrary to popular belief, out of medical school and for the years of residency, doctor’s don’t earn that match. My best friend graduated from Harvard Med School and is now working in one of the top children’s hospitals in thecountry. She makes approximately just as much as I do as an administrative assistant. While I”m making headway on my student loans, she’s barely breaking even on hers. She has amassed over $200,000 in debt (what many people don’t know is that going to medical school doesn’t defer your loans. you need to apply to do defer them and most of the time, these deferments aren’t granted). It’ll be another 2 years for her residency then another 5 for her specific speciality before she’ll be making what people consider the norm for an MD. By the time she’s making enough to quickly pay back that $200k, she’ll be nearing 40. An age where those of us who do have “useless degrees” (journalism for me) are close to paying our loans off. Student loans really helps you to get your higher education. One of the best benefit of it is the fact that multiple loans can be melted down into one master loan. This saves frustration, reduces the risk of missing a payment and actually improves your credit score. And it reduces your monthly payment. There are certainly many benefits to the existing Stafford student loan program – especially the variety of repayment options, deferments, forbearance, and income-based repayment, not to mention consolidation. Thanks for pointing that out, it is a terrific point. The problem, as I see it, comes when – despite all these options – one struggles to pay their interests let alone knock down their principle. Most current borrowers will be repaying loans at a 6.8% (graduate) or 3.4% (undergraduate) fixed rate, which is incredibly high (when one could consolidate to 2.75% when the rates were variable). Student loans are so high that most people cannot afford to pay the principle and the interest and still manage to buy a car, a home, or have kids. I think lowering the overall interest rates would create an ability, and greater incentive, to repay in higher increments, because one wouldn’t feel like it was being tossed down a black hole of growing interest without touching the principle.